February | 2013 | 50 Westerns From The 50s. The Longboards: Theme From Johnny Guitar. Here’s The Longboards, a Surf band from Bilbao, Spain, doing a beautiful cover of Peggy Lee and Victor Young’s theme from Johnny Guitar (1954). The Norwegian band The Spotnicks released a great version of this back in 1962. And since we’re on the subject of Johnny Guitar, here’s an interview with Ernest Borgnine where he brings it up. Dale Robertson, 1923 – 2013. Heard last night that Dale Robertson has passed away. He had a very likable screen presence and by all accounts was a really nice man. Despite making some excellent 50s Westerns, such as The Gambler From Natchez (1954) and A Day Of Fury (1956), it was on TV that he really made his mark — as Jim Hardie in Tales Of Wells Fargo. As a kid, he really impressed me in the TV movie Melvin Purvis G-Man (1974) — a role Ben Johnson played in John Milius’ Dillinger the year before. 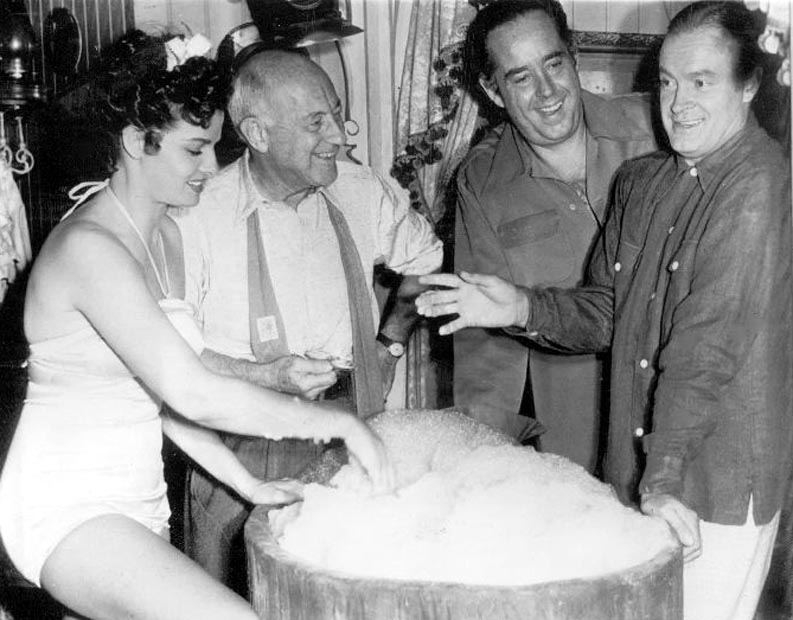 The photo above is from The Silver Whip (1952). It is a crying shame that A Day Of Fury isn’t on DVD. Thanks to Stephen Bowie for relaying the news. 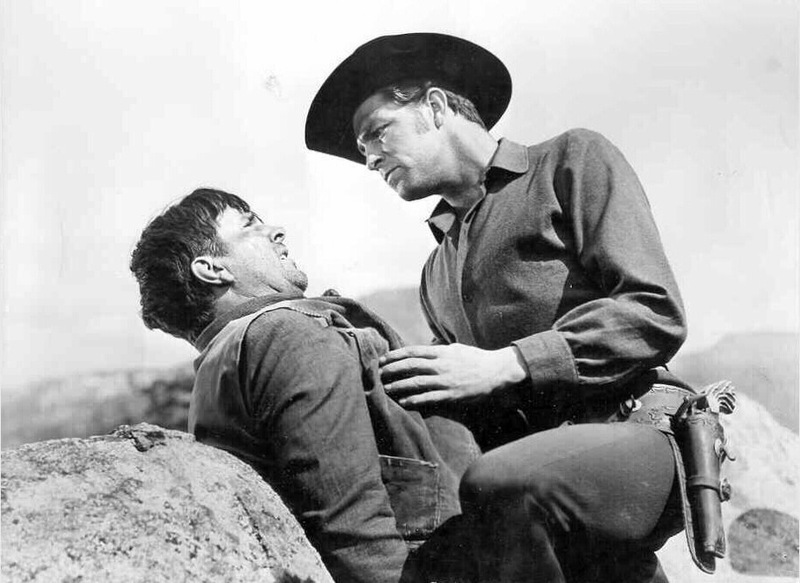 Gallery: Making Westerns In The 50s. 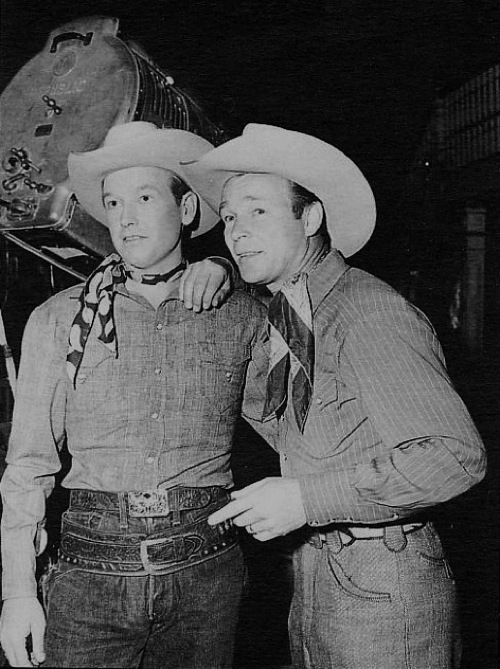 Rex Allen and Roy Rogers, somewhere on the Republic lot. Mara Corday studies the Raw Edge (1956) screenplay. 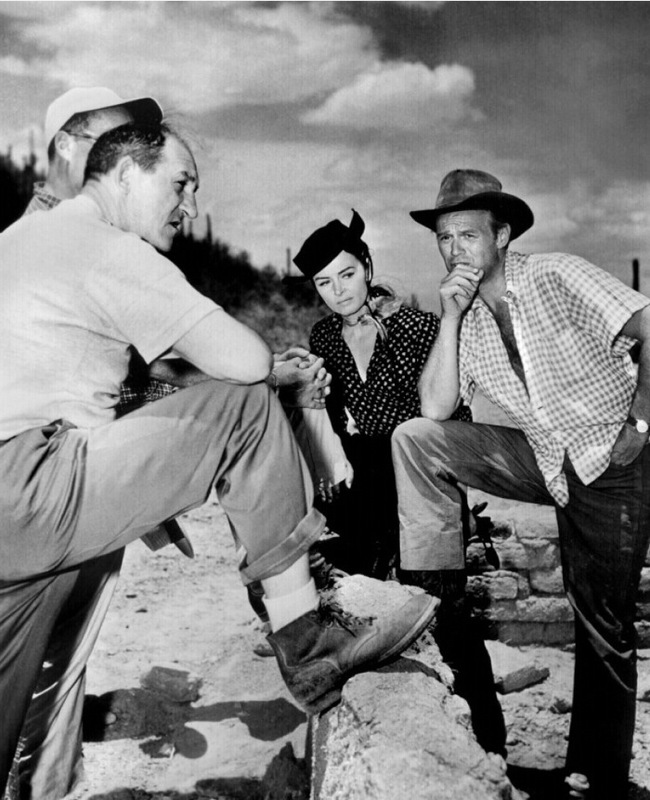 Donna Reed and Richard Widmark at work on Backlash (1956). That’s John Sturges obscured in the ball cap. 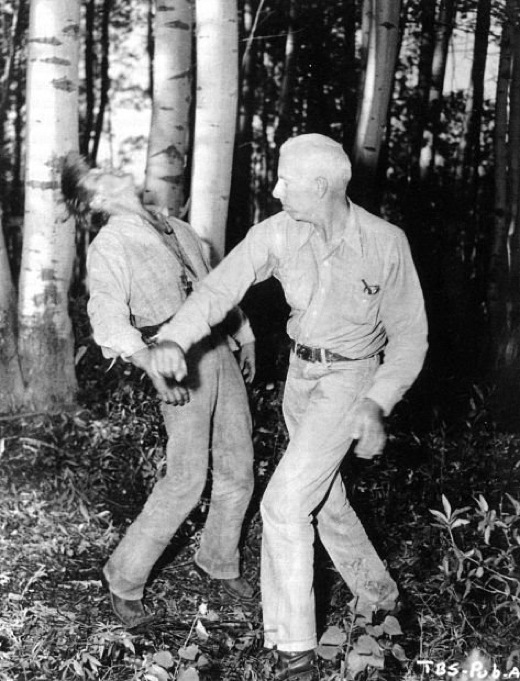 Howard Hawks shows Kirk Douglas how to do a fight scene for The Big Sky (1952). 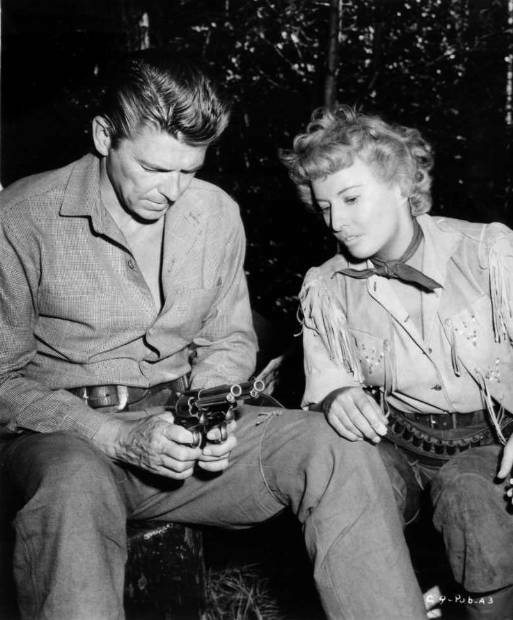 Ronald Reagan and Barbara Stanwyck discuss the arms situation on the set of Cattle Queen Of Montana (1954). 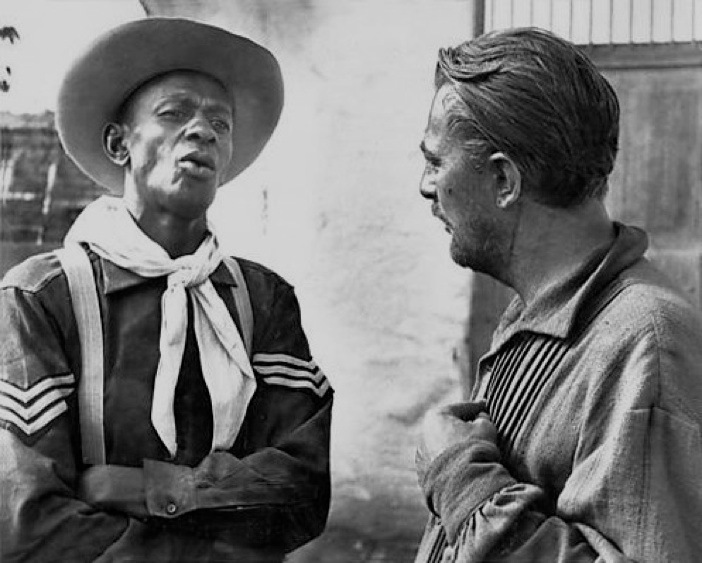 Satchel Paige and Robert Mitchum shoot the breeze between takes on The Wonderful Country (1959). 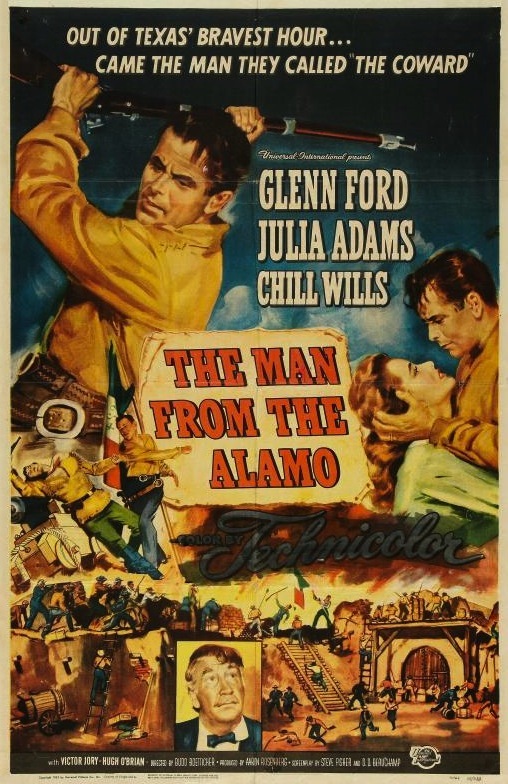 Screening: The Man From The Alamo (1953). To mark the anniversary of the siege of the Alamo, The Egyptian is running Budd Boetticher’s The Man From The Alamo (1953), starring Glenn Ford and Julie Adams. It’s good. It’s in 35mm. And Miss Adams will be in attendance. Finally seeing Budd Boetticher’s Seven Men From Now (1956) set me off down the trail that would lead to this blog and its book-in-progress namesake. It’s one of the best movies I’ve ever seen, Western or otherwise. 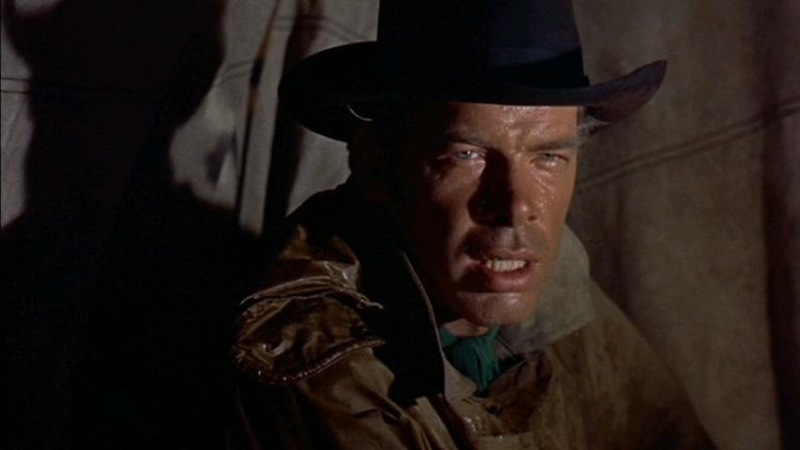 A huge part of the film’s success is our birthday boy, Lee Marvin. With scenes like the one above, there was no way he was going to remain a character actor. And as we all know, and as films like The Professionals (1966) and Point Blank (1967) prove, he wouldn’t stay one for long. This’d be a good day (especially since it’s raining here in Raleigh) to curl up on the sofa with that new Marvin biography. 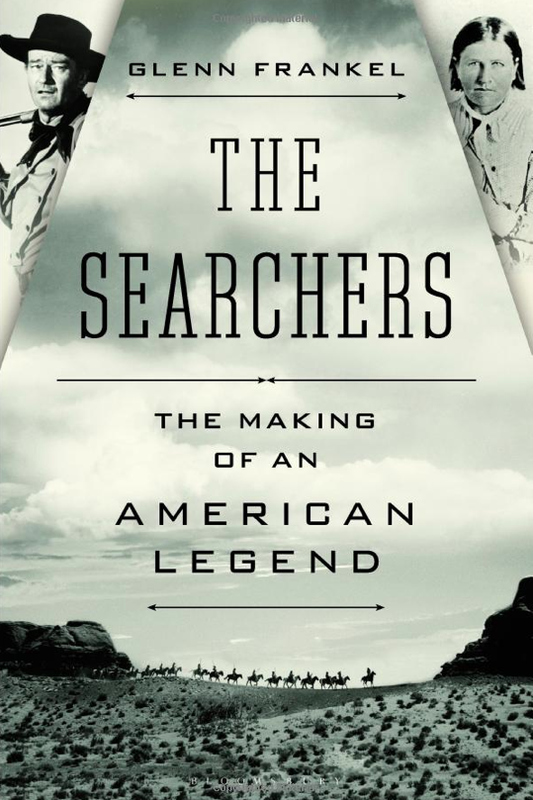 Book: The Searchers: The Making Of An American Legend. Here’s a book I’m looking forward to, The Searchers: Making Of An American Legend by Glenn Frankel. It covers the connection between an actual abduction case (Cynthia Ann Parker was taken by the Comanches when she was nine), Alan LeMay’s novel and, of course, what it often held up as the greatest Western ever made, John Ford’s The Searchers (1956). Glenn Frankel is a Pulitzer Prize-winning journalist, and his former employer, The Washington Post, likes his book. Their review is here. An earlier piece on The Searchers can be found on his website.